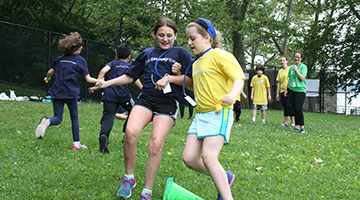 An annual Gateway tradition, Spirit Day brings together the entire school for outdoor activities and fun games. This year’s event took place on June 16 at Riverside Park South, with a gorgeous view of the Hudson River. Students were organized into teams (navy, cyan, green, and yellow) and rotated among different stations, including a hula hoop toss, relay race, potato sacks, tag, and more. Thanks to the parent volunteers who helped distribute fresh watermelon and snacks to the students! 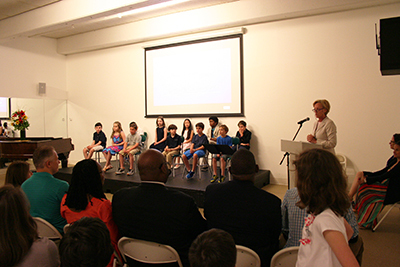 On June 15, parents, teachers, and classmates celebrated 11 Lower School students who are moving on to Middle School. Director of Lower School Karina Moltz praised each student’s growth over the years, and each one had the opportunity to read aloud a short essay about their memories of the Lower School. The ceremony ended with Certificates of Achievement, followed by class parties with parents. We’ll miss all of you, but are confident that you’ll apply your learning skills and strategies toward even greater success in Middle School, whether at Gateway or elsewhere! 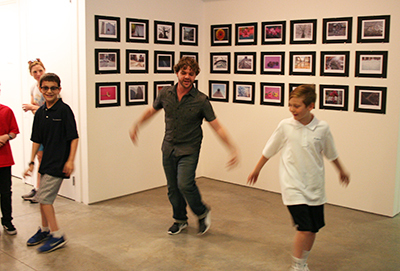 On May 31, parents and students gathered at the Tina Kim Gallery in Manhattan to enjoy the Middle School Arts & Center Festival. The event showcased our talented students in the 5th through 8th grades and their work this year in visual art, printmaking, photography, percussion, theater, hip hop, fencing, filmmaking, coding, graphic design, and more. View this Facebook gallery to see photos from the event. 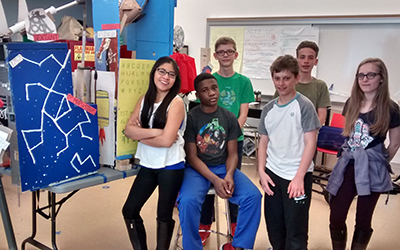 Congratulations to the Center Inventors Team for placing 2nd in the regional Rube Goldberg contest! The complex machine they built uses 11 steps to open an umbrella. Watch videos of the machine and learn more on the Rube Goldberg website. Now through May 9, you can vote for the Gateway team in the People’s Choice contest—just visit the link above and click on the Facebook “Like” button to vote. 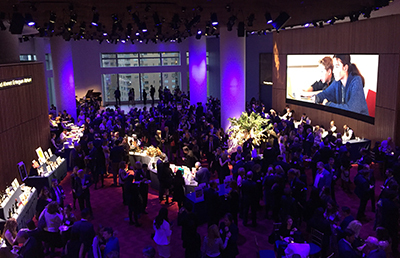 The 50th Anniversary Celebration on April 5 was an extraordinary success! Thanks to everyone who attended and contributed to the school in this milestone year. The funds raised at this event represent a marvelous and inspiring commitment to Gateway. 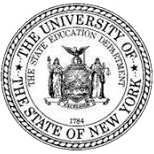 They help put the school in a strong position to embark on the years and decades ahead, ensuring that Gateway’s unique educational program will be available for future generations of bright children with learning differences. The event’s honorees—the Flom Family, Suzanne and Matt Donohoe, and Warren and Judith Feder—all represent the true and timeless spirit of Gateway. Guests heard their moving personal stories about the meaning of Gateway, enjoyed an entertaining dance performance from students, participated in silent and reverse auctions, and made many new memories with friends, family, and colleagues throughout the evening. See photos from the event and watch a short film that played during the program.